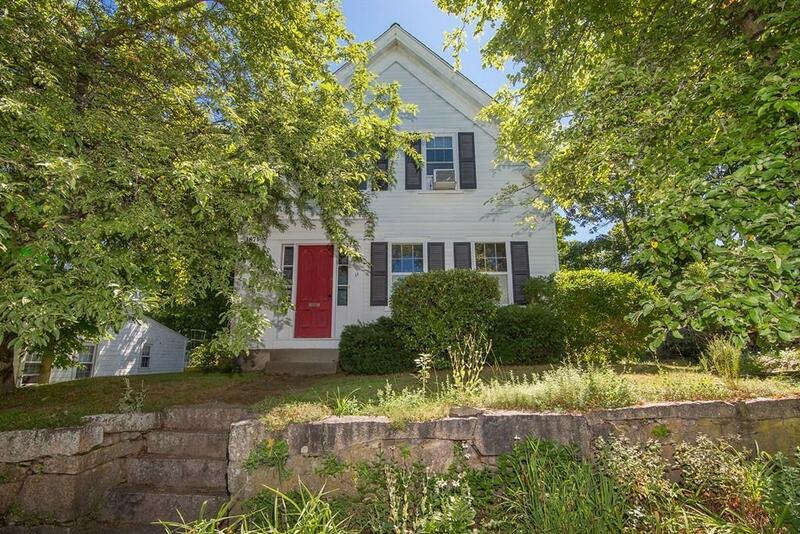 Unbelievable Location in Downtown Holliston! *Amazing Antique that offers the charm of yesterday with updates and systems of today! *Enter off the driveway to this convenient mudroom area directly off of the lovely Renovated eat-in kitchen which offers a new tile floor, custom refaced cabinets, quartz counter tops and tin backsplash*New Full bath w/laundry added (2018)off the kitchen*Lovely hardwood floors throughout the rest of the first floor dining room+living room*1rst Floor Bedroom (could also be used as an office)with hardwood floors and closet*Upstairs offers Master bedroom w/wood floors+rare amount of closet space for an antique home*Two additional 2nd floor bedrooms w/wood floors(smaller room currently being used as office)*Newly updated 2nd floor full bath*The exterior brick patio offers outdoor living area off the mudroom entrance and private fenced in yard*Location!Location!Location!Steps to Downtown Shops, Library, Holliston Rail Trail, Lake Winthrop, Goodwill Playground+Schools!